Paul Chiappetta is the Director, Quality Systems and Compliance at Thermo Fisher Scientific. He is presenting at the upcoming Medical Device Supplier Quality Conference on April 29-30 in Arlington, VA. Learn more about his presentation below! Can you give a brief overview of your role at Thermo Fisher Scientific? I am the Director, Quality Systems and Compliance and have been with Thermo Fisher Scientific for over 6 years. My role until recently has been direct support to our Medical Device Businesses in reference to their Quality Systems and Regulatory Compliance. This includes establishing corporate policy for Quality Systems as well as standardized practices for compliance activities such as Quality & Compliance audits and Field actions. My current role is now focused on our Clinical Diagnostics Business related to their Quality and Regulatory Systems. What are 1-3 key takeaways you hope attendees will learn from your case study? What participants should expect as the program moves forward. What participant sites should be preparing for in years 2 and 3 of the program if 2018 was their first year of participation. What changes will need to be made to your internal audit program to better prepare for these type of audits. As an industry leader, why do you believe it’s important for attendees to attend the Medical Device Supplier Quality Conference? If you have participated in the program, you will need to gather information about the program from many different venues so you can prepare for changes as well as adopt best practices. 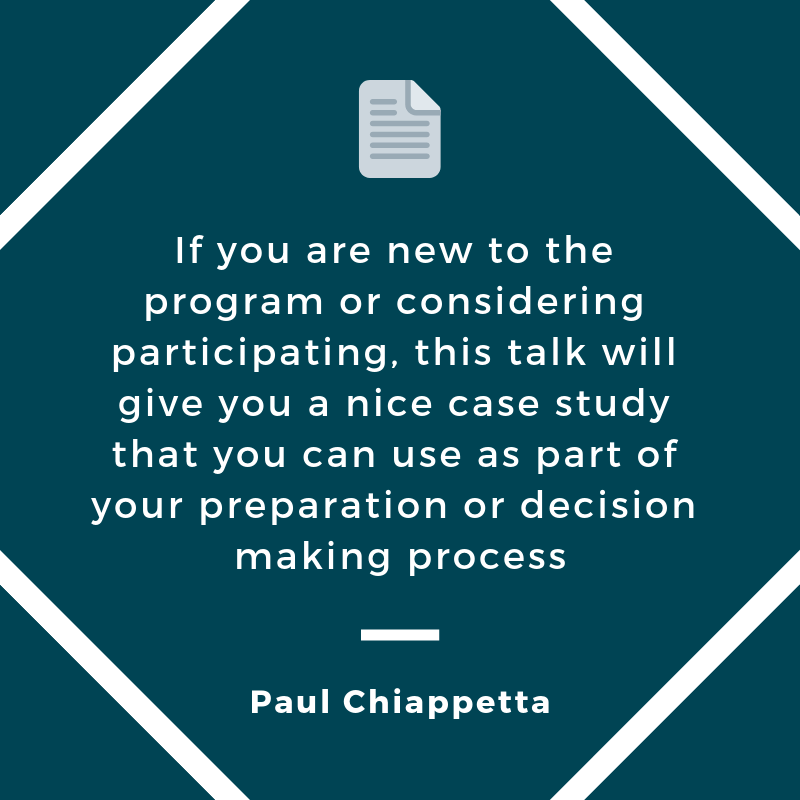 If you are new to the program or considering participating, this talk will give you a nice case study that you can use as part of your preparation or decision making process.